Compiled by Reidsma, Irene Vander Meulen. Publisher: Zeeland, Mich. : Zeeland Historical Society, c1984. Publisher: Zeeland, Mich. : Zeeland Historical Society, c1990. 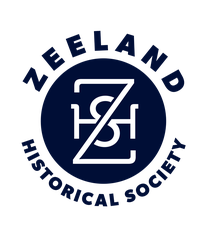 Publisher: Zeeland, Mich. : Zeeland Historical Society, c2006.